So i have had these pictures on my phone saying i was going to do a blog since before i left Nevada and i am just now doing it…..slacker party of one!!! 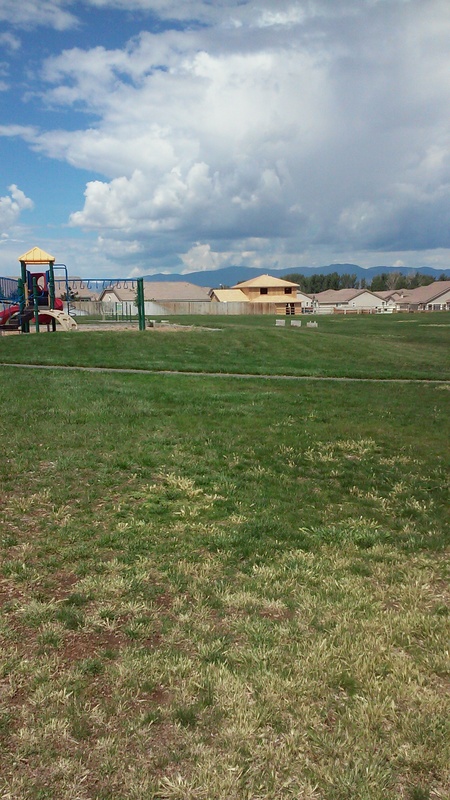 Anyways, there is a park in Fernley, NV that so has the right idea, I think all parks should do this. So it has the normal playground for kids and all but surround the playground are 5 or 6 workout stations…..how genius is that!!! 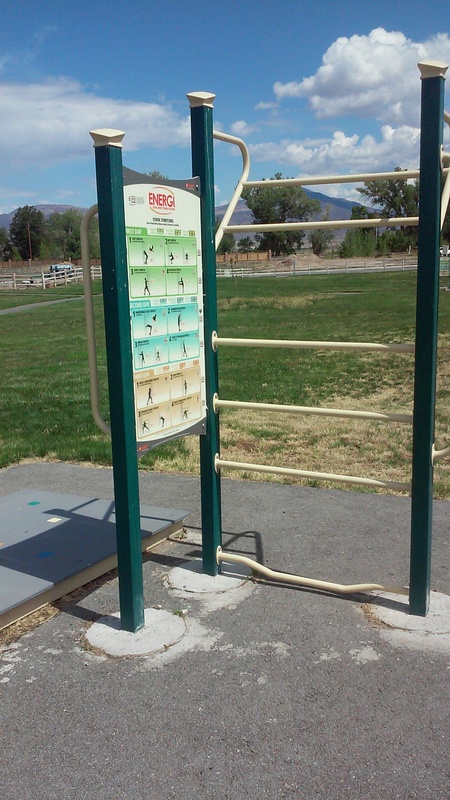 They are simple stations so a parent can workout while keeping an eye on their kid at the park. look right in between the green poles and the jungle gym thing, in the background that is workout station. here is a little closer pic of the one by the playground then look to the right and there is one out there. and here is a close-up of one of the stations. This was the stretching station. Does anywhere near you have anything like this? Yes, we have those in LB.